When home owners and businesses are in need of quality residential and commercial stucco work, LMG Concrete is who they call. Our family-owned company serves West Palm Beach and Greater Florida. What stucco services do we offer? We can provide you with available color samples. From new homes and business, to restoration, we've got you covered. Why hire LMG for stucco work? 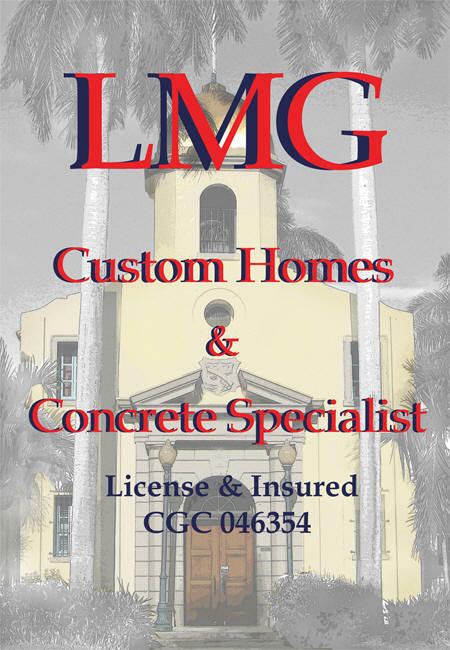 LMG is a local construction company that's licensed, bonded and insured. We've got over 60 years of experience. We're family-operated, and family-owned. Stucco work isn't like a simple drywall job. It requires real knowledge, and real experience. Hire the wrong contractor, and you may find yourself with a finished product that looks awful. So get it done right the first time, by a company with hard experience. Call LMG at (561) 750-3211 or send us an email.